Peranakan Cuisine is the distinctive cooking from the interplay of Chinese ingredients and Malay/Indonesian spices along with the techniques. The style is born from Chinese immigrants who settled in Malaysia, Singapore and Indonesia in the early 15 hundreds. Staple ingredients include coconut milk, galangal, candlenuts (I assume this is where the restaurant name comes from!) laksa leaf, pandan leaves, belachan, tamarind juice, lemongrass, torch ginger bud, jicama and kaffir lime leaf. 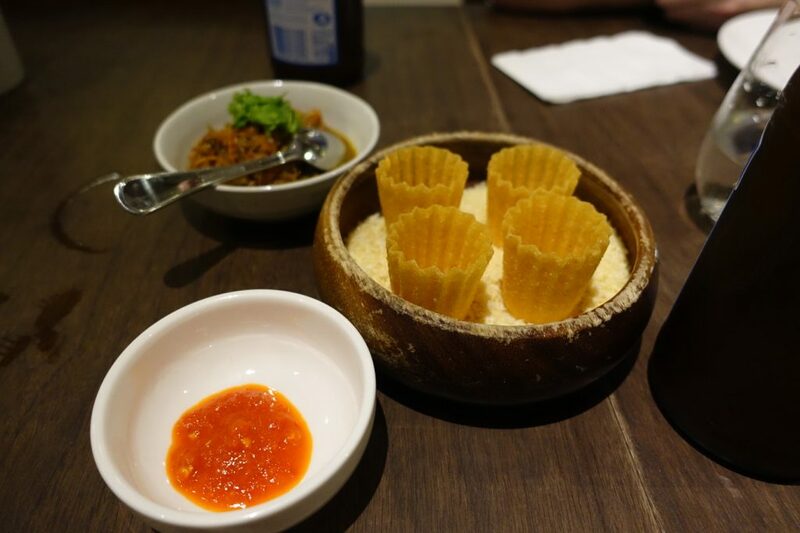 Candlenut which specialises in the modern interpretation of Peranakan cuisine has been around since 2010 but has moved twice since into bigger premises and gained a Michelin Star in 2016. 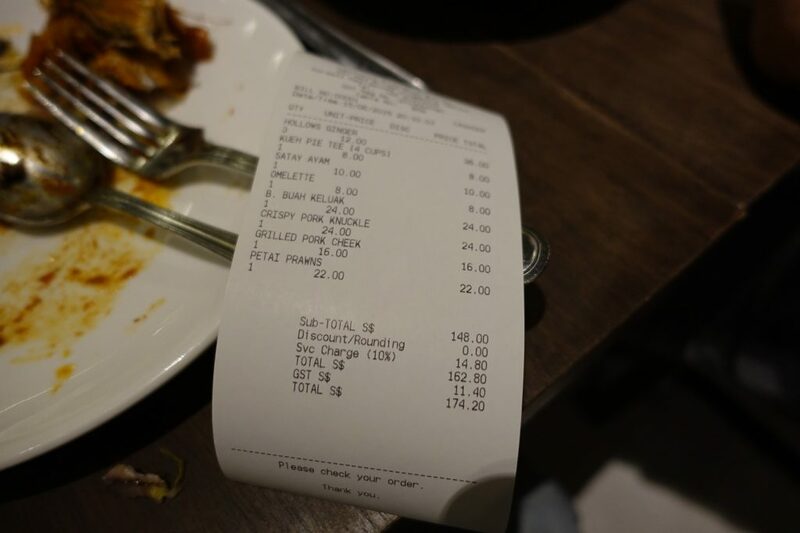 I dined here in June 2015 during a trip to SG to celebrate a friend’s 40th! 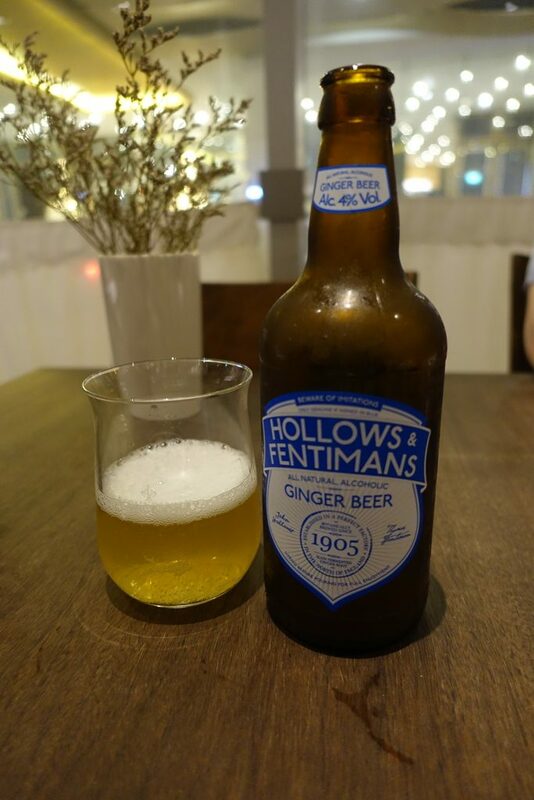 Hollow and Fentimans botanically bowed boozy ginger ale. It had enough sugar in there to give a dinosaur heart burn and your dentist a field day so I reckon it would be good in a cocktail to dial down it’s richness. Damn it was sweet! Kueh Pie Tee Shells $8 for 4 cups. Crispy little top hats that you can fill with a medley of braised turnips, pork belly and prawns. All of the components were served separately so the shells maintained their crispiness the interaction of filling them up yourself was fun. Season with house-made chilli sauce if you dare as it was super punchy. Buah Keluak $24. One hundred and twenty-day aged grain fed short rib, sous vide till tender then covered with a viscous as black as the night black buah keluak sauce. 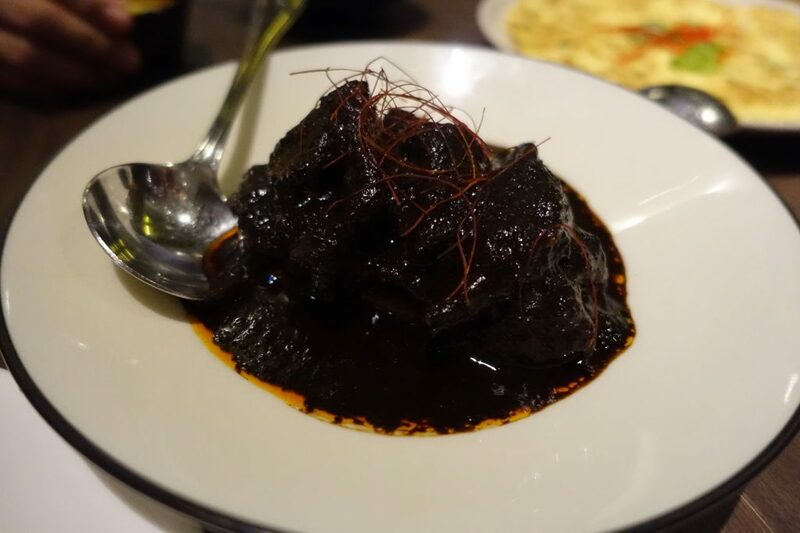 The sauce is made from buah beluak (black nuts) are soaked for 5 days, then are stewed down with spices. The result is pure spicy, earthy chocolatey umami. The flavours I get are definitely reminiscent of cacao and I hate to say it but it was an acquired taste for me. 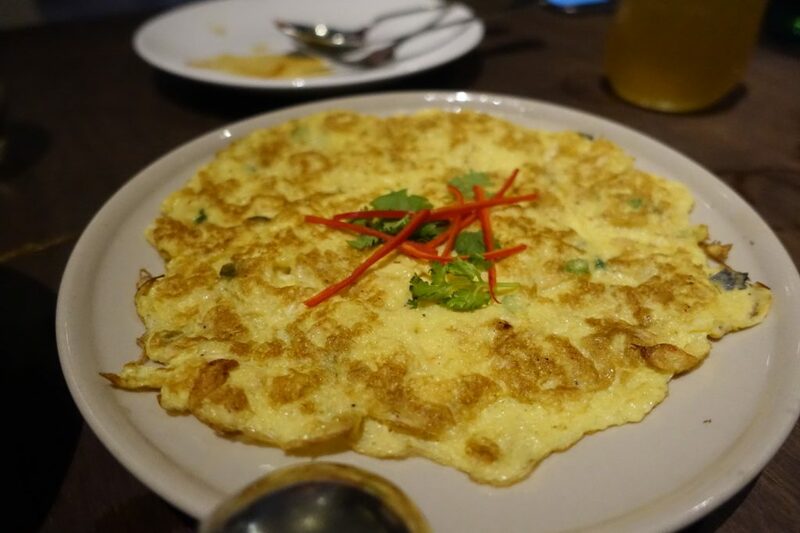 Cinalok Omelette $12 over locally sourced herbs with wok seared prawns and mushrooms. It only an omelette but the less impactful flavour was a welcome strike in balance against the richer flavours. 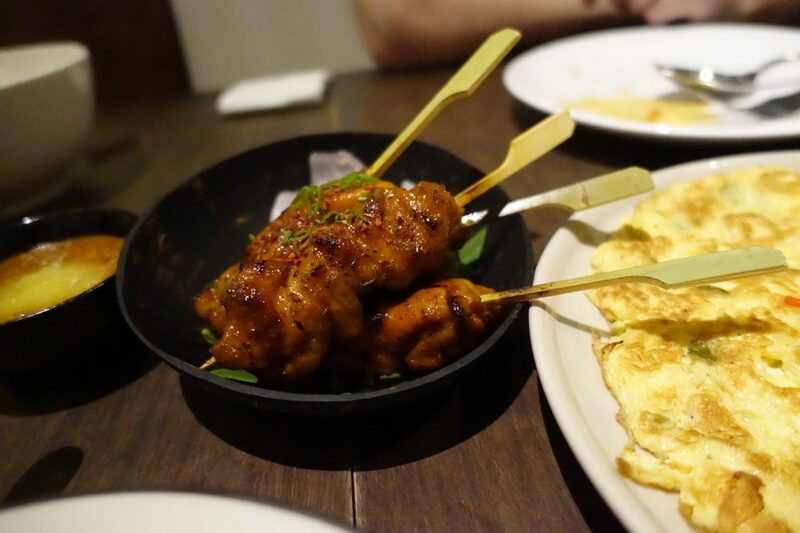 Satay Ayam $10. These were so good I could have easily eaten them daily during my trip here in Singapore. 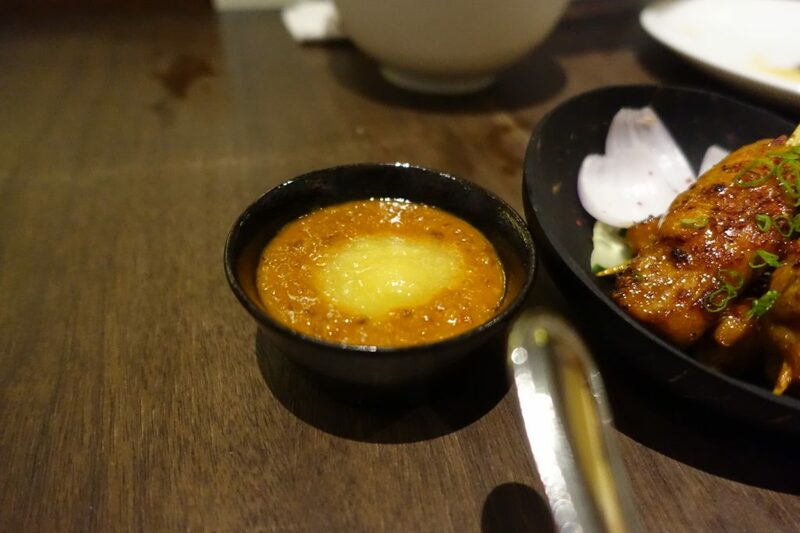 Dip your satay into that little pot of wonder. Petai prawns $22. 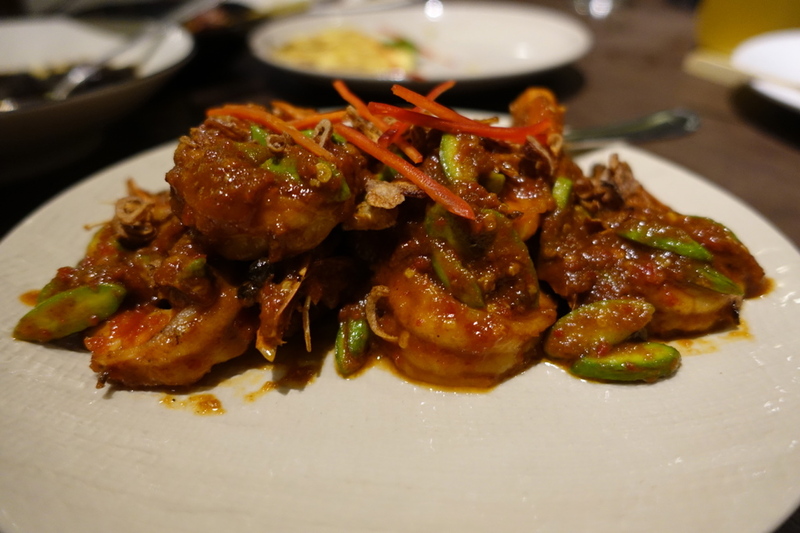 Thick spicy sambal was the perfect foil to cover those juicy prawns and slithers of asparagus was easily the star of the show. Stage perfect stuff. 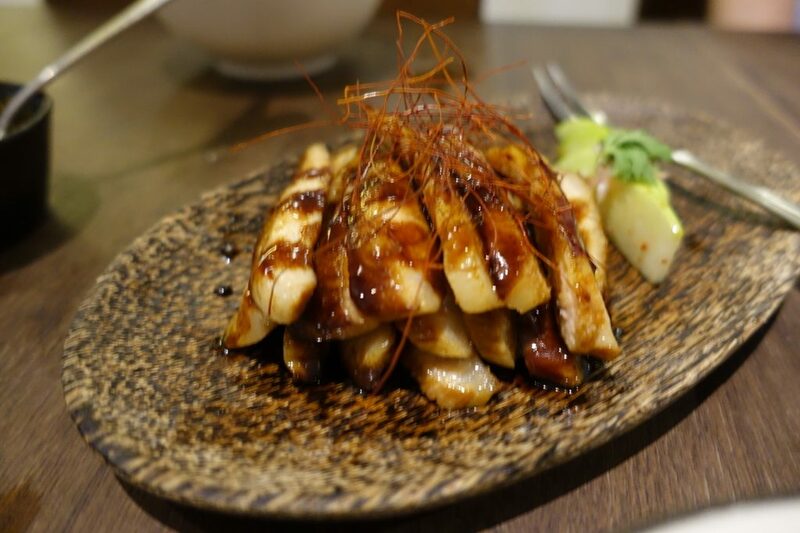 Grilled pork cheek $16. If Candlenut entered a char-siu competition this would be it. 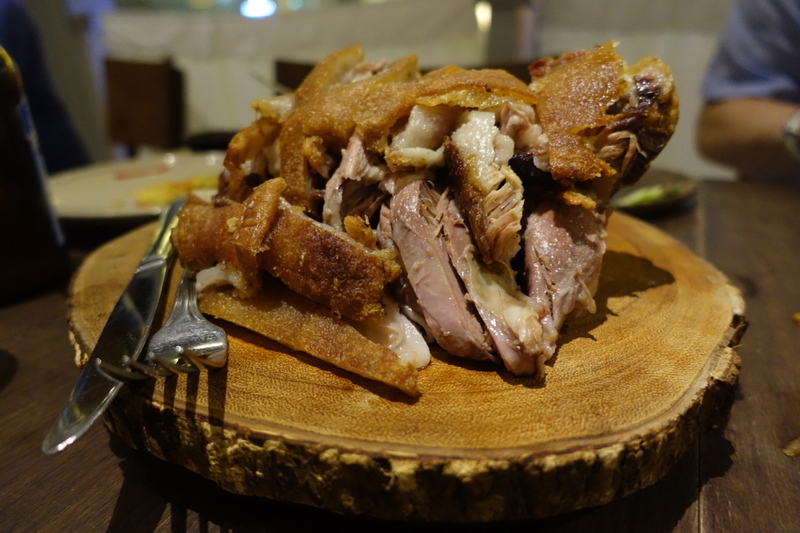 It had all the positive qualities of the Chinese pork dish, savoury, sweet, addictive. It was too fatty for me though. 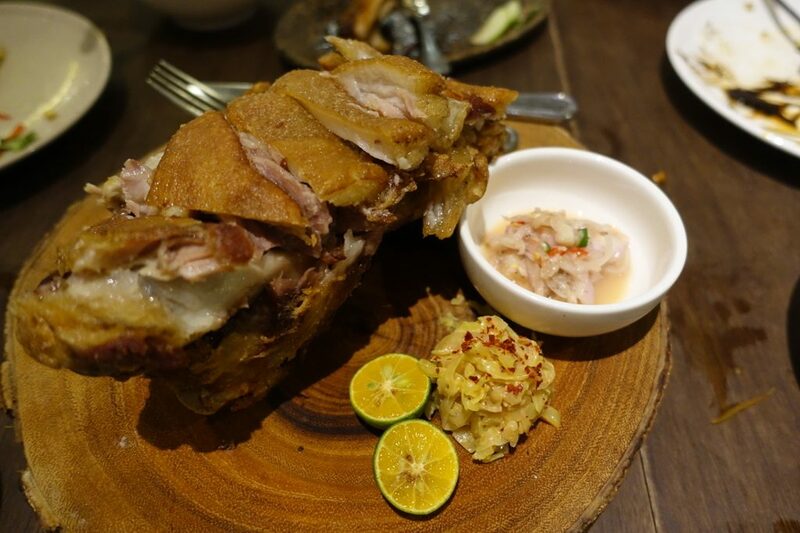 Crispy pork knuckle $24. Dino-sized, extremely meaty with crispy skin. It comes with a calamansi limes, shallot sambal and some pickles. It’s so rich more limes were needed! 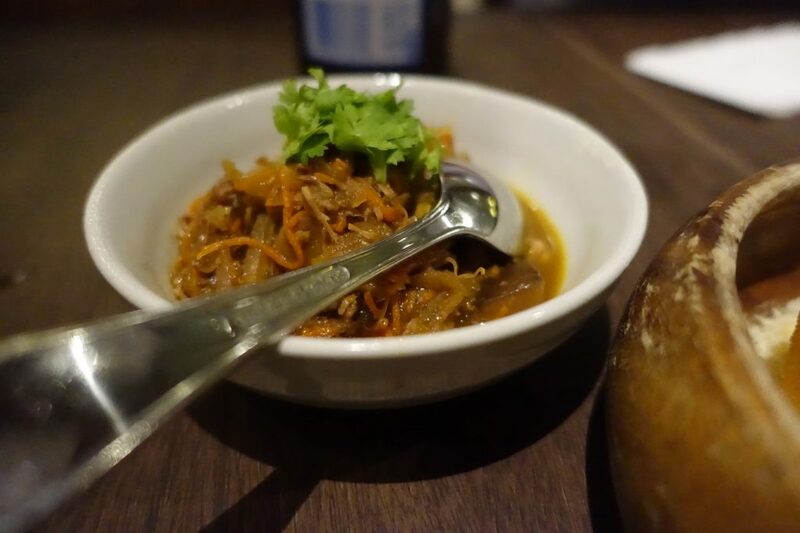 The good: I’ve never had Peranakan food before now and I can gladly say it was a delicious eye-opener. The night belonged to Candlenut and I will happily check them out at their new Michelin Star site. 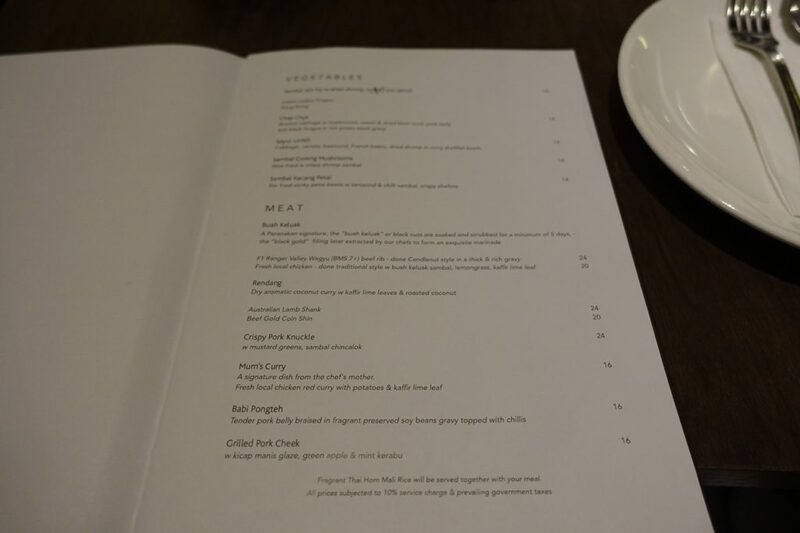 Address: 17A Dempsey Road, Singapore 249676 (I went when they were pre Michelin star on the Neal Road site).